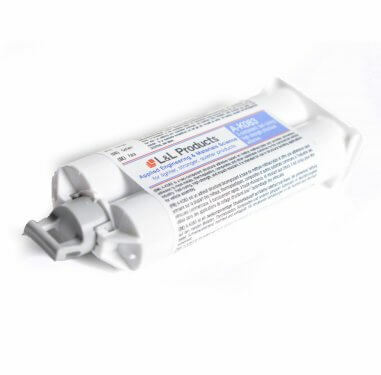 IRS L&L A-K015 Clear Methacrylate Structural Adhesive is a two-component toughened adhesive based on methyl methacrylate which provides primerless adhesion to most metals, thermoplastics, composites and other substrates. 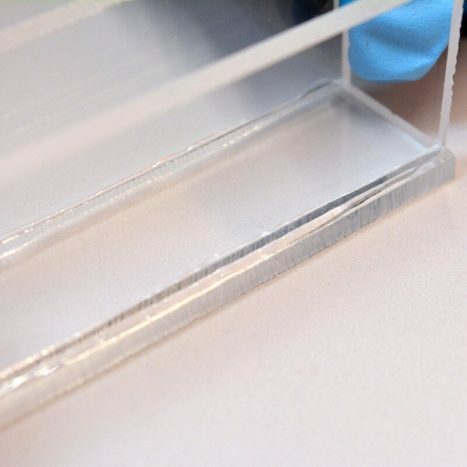 Formulated to be transparent, it is fast-curing, high-strength, and impact resistant; it is intended for use in structural bonding applications. IRS L&L A-K015 was originally developed for the automotive industry and therefore provides superior bond strength whilst adding very little weight to the completed product. 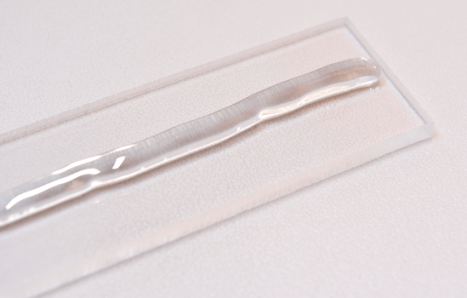 This adhesive is particularly recommended for signage and display applications. 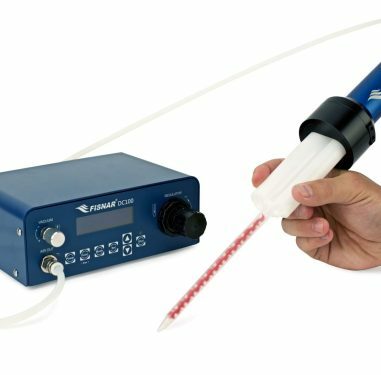 The Fisnar DTD50 is a pneumatically controlled dispense tool for high accuracy dispensing of two-component materials packaged into 50ml side-by-side cartridges. 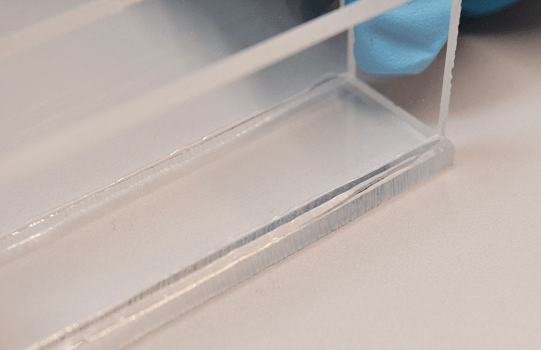 IRSL&L A-K083 and IRSL&L A-K085 are two-component adhesives based on methyl methacrylate (MMA) and have been specifically formulated for improved bonding to plastic substrates. 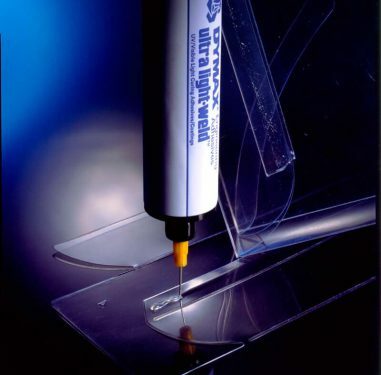 Dymax UV Light Curing adhesives for plastic, metal & glass bonding cure in seconds upon exposure to ultraviolet light and/or visible light, even through UV blocked plastics. 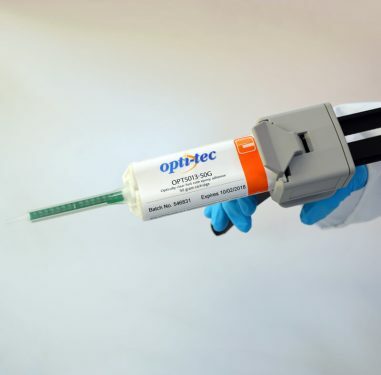 Optic-tec 5013 Optically Clear, Fast Cure Epoxy Adhesive is designed as a structural adhesive, or for small potting and encapsulation projects where optical clarity, good wetting and medium viscosity are important. Static mixing nozzles in square and round styles allow 2 part materials to be mixed sufficiently as they are dispensed from a cartridge. 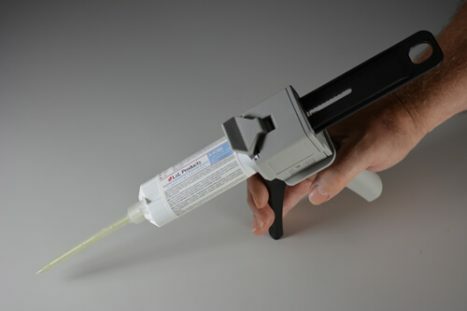 Dispensing guns for adhesives and sealants which are supplied in two part cartridge systems. 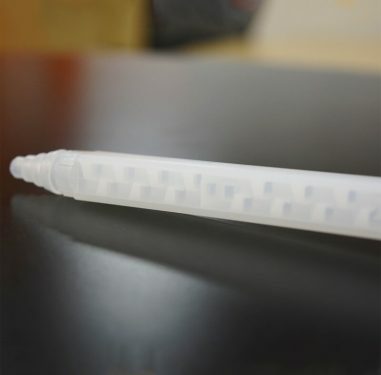 The cartridges are easily loaded into the gun, and a static mixing nozzle is applied. 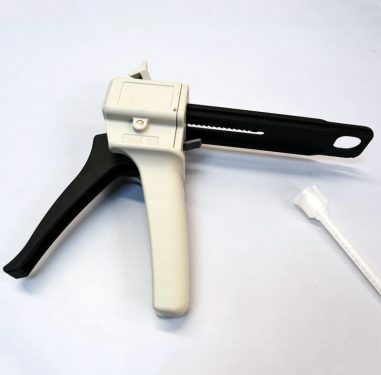 The gun gives control to the dispensing of the adhesive through the mixer nozzle, either with simple hand pressure, or with pneumatic input.